Every religion has its own beliefs and rituals. While women following Islam keep their heads covered with a hijab those following Christianity wear a crucifix. Accordingly, as per Hinduism, nose and ear peircing is one of the most important rituals that a woman should follow. Some people follow the belief that nose piercing symbolizes a girl’s transition into a woman. It is also accepted as a symbol of matrimony by some. One such mother in Australia, an ardent follower of Hinduism got her daughter Sanya Singhal’s nose pierced as per the Hindu rituals. Sanya has been attending Aranmore Catholic College since class three. A tenth-grade student now, she recently showed up at her school with a stud in her pierced nose. The school authorities ordered her to remove the stud immediately or return home. The girl got a letter from her mother explaining the religious and cultural significance of the stud. The mother had also mentioned that the stud could not be removed for the next 12 months following some religious commitments. But the school remained rock solid on their decision and told the girl that she could not attend the classes until she removed the stud. They, in fact, asked the mother to look out for a new school for their daughter as well. 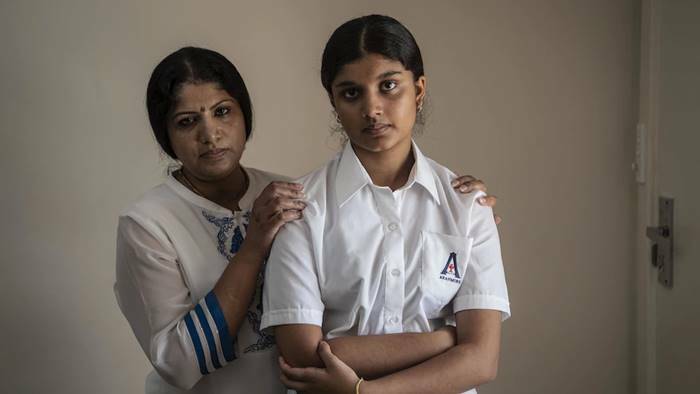 The mother, however also said that the other Muslim or Christain girls in the school were never asked to get rid of their religious accessories like hijab and crucifix respectively, reported The West Australian. The news of sheer discrimination by the school spread like a wildfire on the internet. Seeing such a case of obsolete religious discrimination in today’s date, the netizens were left fuming. They slammed the school for their discrimination. And also, urged Minister of External Affairs of India Minister, Sushma Swaraj to look into the matter. Rule should be equal for everyone. While the world already has several gruesome issues to be talked about and eliminated, kicking a student out of school over an accessory should certainly not be appreciated.